The Vol. 1, No. 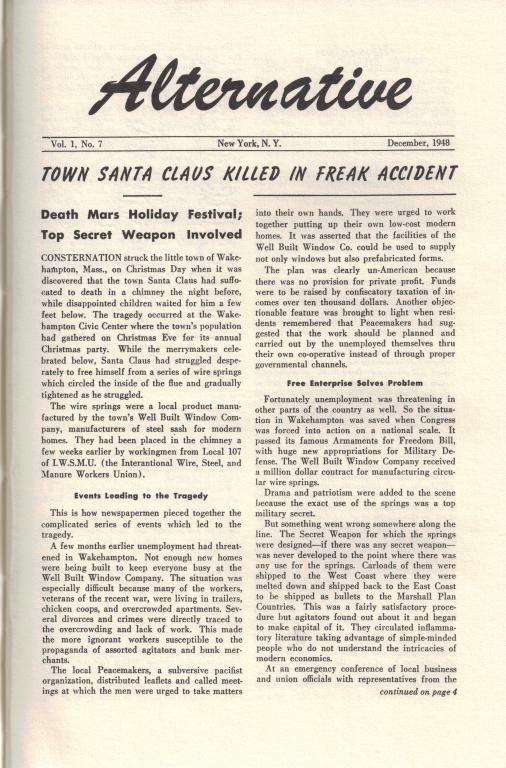 7 (December 1948) issue of Alternative, an anarchist publication produced out of New York City from 1948-1951 and focusing on pacifist viewpoints. -Go left, young west by R.A. and R.F. A 1960 text from the Situationist International on leisure time in capitalist society. A short history of The Hajduks of Cotovschi, an anarchist communist partisan organization from Romania, that pursued its activity in Bucharest, between 1939 to 1941.